This year the telecoms industry will begin the transition to new fifth-generation mobile networks - known as 5G - which is expected to one day help run everything from self-driving cars to robot surgeons. 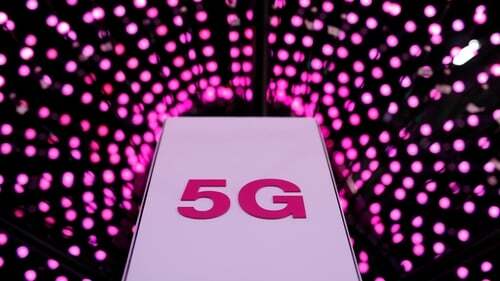 The first 5G compatible phones will become available in the middle of this year, but consumers will not initially notice vastly faster speeds because 5G coverage will be limited to certain cities or areas at first. One of the biggest innovations that 5G is expected to enable are self-driving cars, because it can virtually eliminate latency - the time it takes to get a response to information sent over the network. But self-driving cars will need 5G networks to cover large areas and mobile communications industry body GSMA, which represents 800 operators worldwide, estimates 5G will account for just 15% of total global mobile connections in 2025. Lower latency could also help revolutionise multiplayer mobile gaming, factory robots, telemedicine and other tasks demanding a quick response - all areas where today's 4G networks struggle or fail.